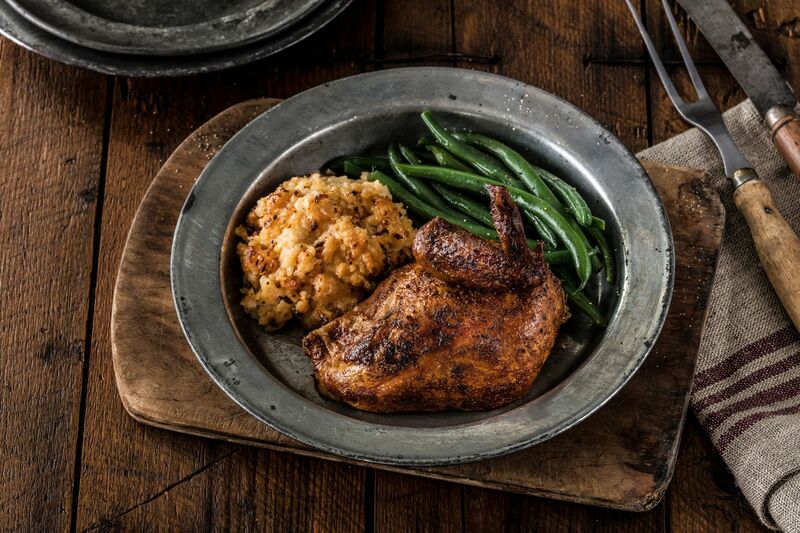 Dallas, TX (RestaurantNews.com) The wait is almost over for Midwestern diners seeking the authentic flavor of wood-fired rotisserie chicken and homemade sides. On Thursday, Nov. 16, Cowboy Chicken continues its national expansion with the opening of its first Kansas location at 322B Southwind Place in Manhattan. Cowboy Chicken is currently searching for energetic crew members who are dedicated to bringing a fast, healthy dining alternative and warm, friendly customer service to Manhattan. Those interested in applying are encouraged to visit https://www.cowboychicken.com/join-our-team/ for more information. The Cowboy Chicken menu features all-natural, hormone-free rotisserie chickens that are hand-seasoned in store, marinated for 24 hours and then slowly roasted for two hours over a real wood-burning fire. Other dishes include signature sour cream tomatillo chicken enchiladas, abundant scratch-made sides such as Twice Baked Potaters™, Baked MMac & Cheese, Ranchero Beans and seasonal cobblers baked in-house daily. This is the second Cowboy Chicken restaurant for Franchise Restaurant Concepts Group (FRC Group), which is an Omaha, Nebraska-based affiliate of Sun Capital Partners. FRC Group has 30 years of franchised restaurant experience across a wide range of concepts and is focused on growth throughout the Midwest. This restaurant is part of a franchise agreement signed earlier this year with FRC Group to open 14 Cowboy Chicken locations across Iowa, Kansas and South Dakota. With the debut of this Manhattan location, Cowboy Chicken now has 21 locations open for business throughout Texas, as well as in Louisiana, Alabama, Oklahoma, Nebraska, Iowa and Kansas. The 3,400-square-foot Manhattan restaurant centers on a large, wood-burning rotisserie where guests can view the chickens roasting from the rustic-meets-modern dining area with wood-style laminate floors and a custom multi-media art installation. The restaurant seats 80 guests. A weeklong grand opening celebration with daily discounts and promotions is set for December. More details will be announced soon.